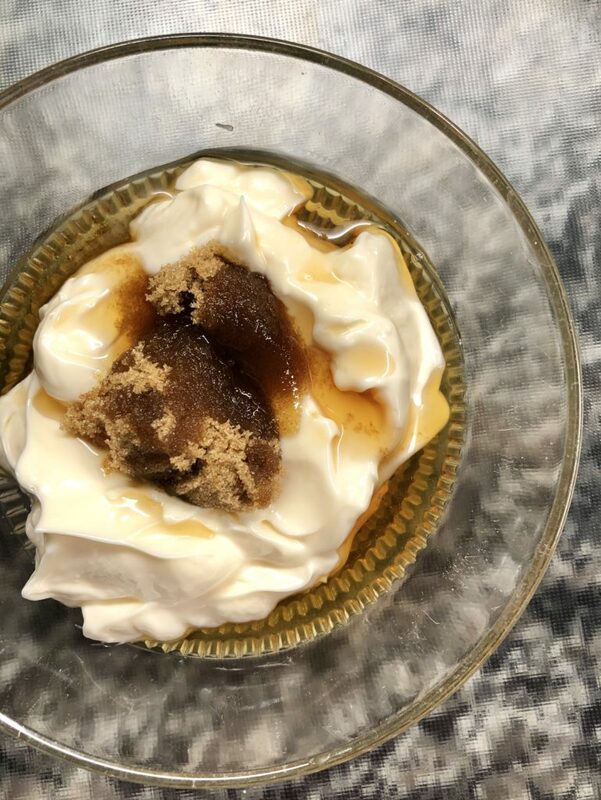 Over our SIX years of food blogging and recipe development, there have been many recipe successes. 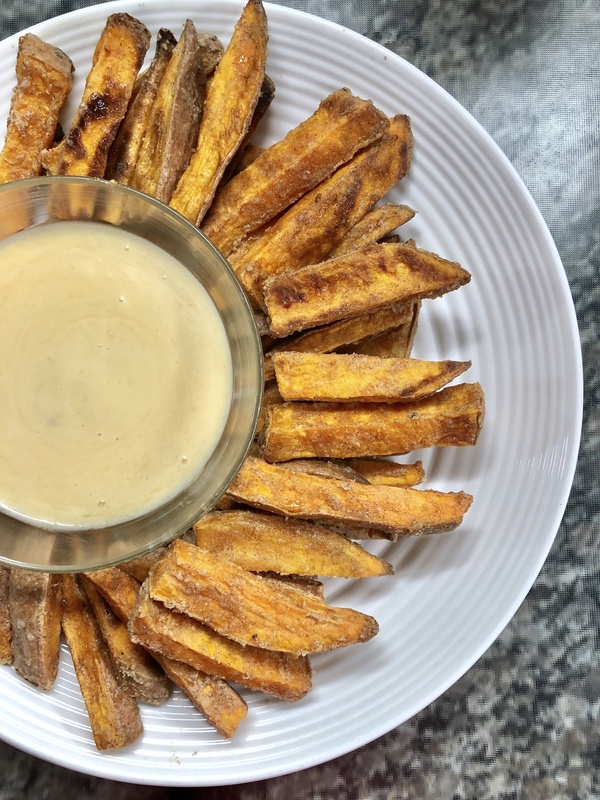 But there has been one recipe that has eluded us for some time now – sweet potato fries. 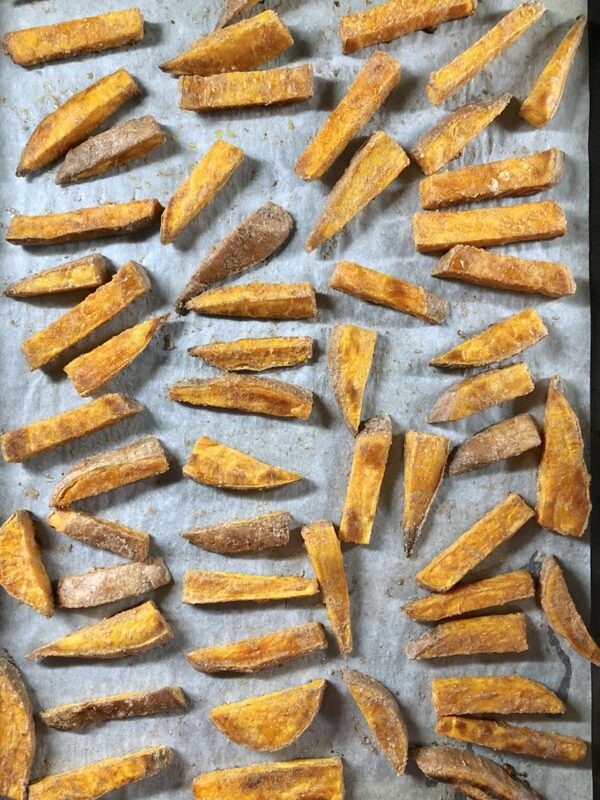 Not just any sweet potato fry recipe, but crispy oven roasted sweet potato fries. We were beginning to think it was an impossible feat and had almost given up. Then one day, we came across this article and since then, our lives, and our sweet potato fries have never been the same. 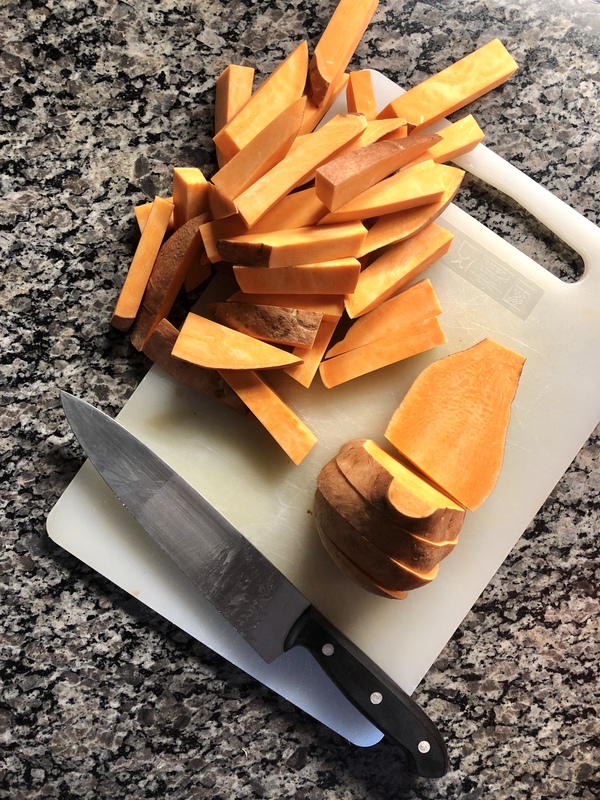 We should have know it would be the combo of cornstarch and canola oil that transformed the usual tasty but mushy sweet potato fry into a crispy and irresistible morsel. Just look at what it can do to oven roasted tofu! And now, we will never ever go back. 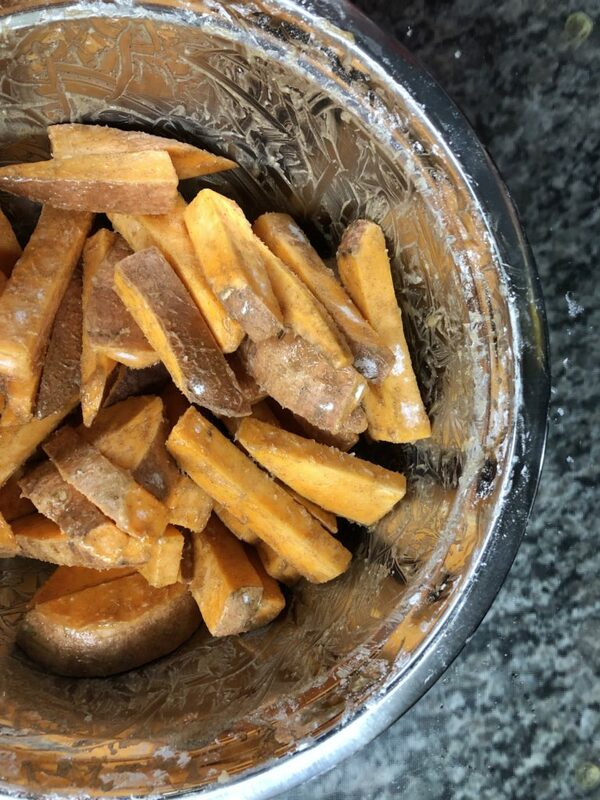 If you’ve never added cinnamon to your roasted sweet potato fries, prepare to have your mind blown. It just adds such an amazing flavour and your house is going to smell like a donut factory. Which is never a bad thing. 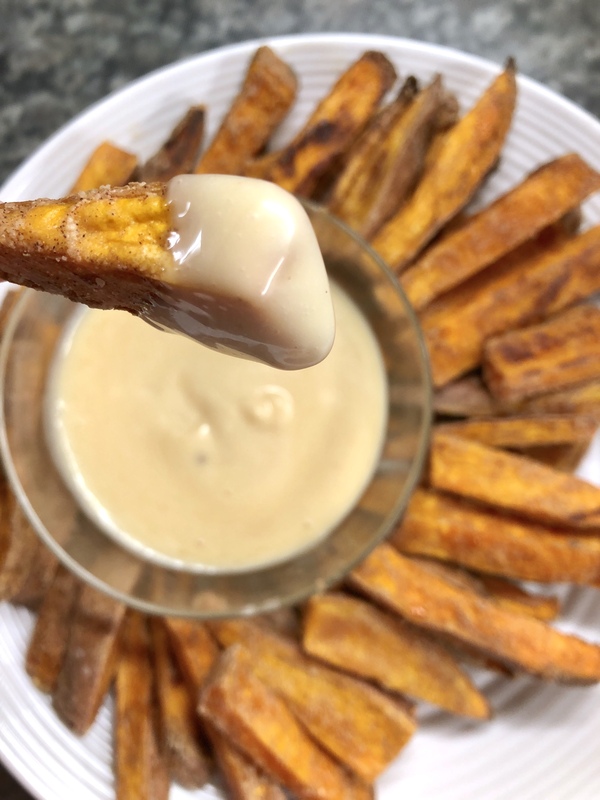 You can go the usual ketchup route, but if you are a fries and mayo kinda person, you are going to seriously LOVE this maple dipping sauce. And if you aren’t, we can still be friends. At long last, we’ve discovered crispy baked sweet potato fries. And our lives will never be the same again. These sweet potato fries are best eaten hot out of the oven. If have leftovers, reheat on a baking sheet at 400 for about 5-10 minutes. They are also delicious served with ketchup! 1. Preheat oven to 400 and line two large baking sheet with parchment paper. 2. 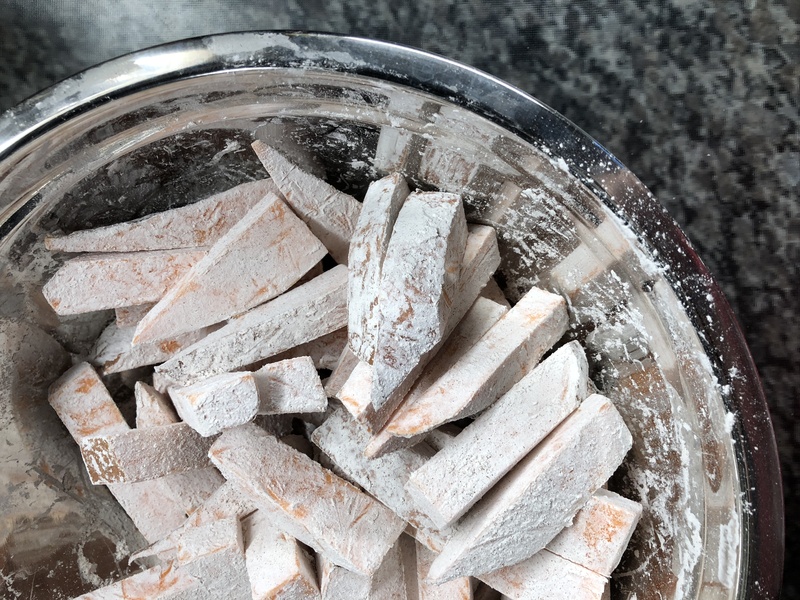 In a large bowl, toss sweet potato fries with cornstarch, salt, and cinnamon until evenly coated. Add canola oil and toss again. 3. Divide evenly among two prepared baking sheets and place in one singly later so that they are evenly spaced on the baking sheet. 4. Place in the oven and bake for 20 minutes. Flip and bake for another 20 minutes until brown and crisp. Remove and serve immediately with dipping sauce. 5. In a small bowl combine all ingredients.